Thank you again to Richmond Auto Mall! The proceeds of their annual donation drive were $32, 000 and over 860 lbs of food! We can’t thank the Richmond Auto Mall enough. The Richmond Auto Mall has held an annual donation drive for over a decade! 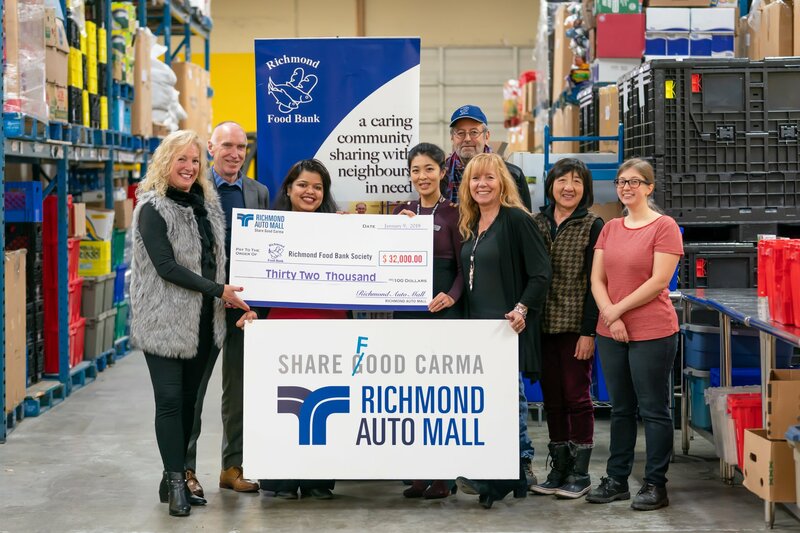 Since they’ve started, the Richmond Auto Mall and their car dealerships have raised well over $100 000 and collected tens of thousands of pounds of food. We are so grateful for their continued dedication and support of our neighbours in need. Thank you Richmond Auto Mall for your generosity and hard work in organizing this donation drive, and for the generosity of your car dealerships and customers!